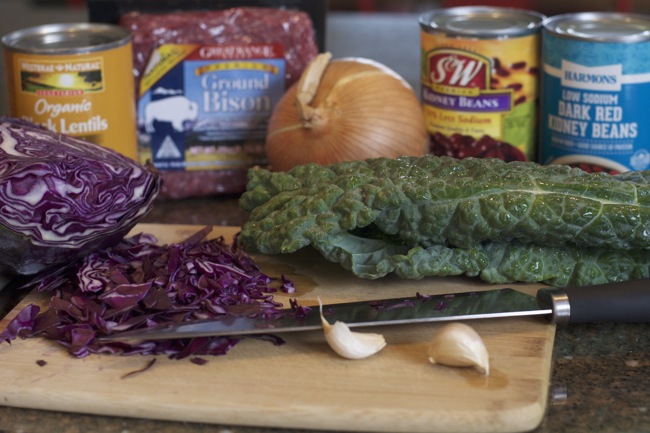 … BBLT Soup, or what I like to call Iron in a Bowl! Soup season has finally arrived in southern Utah. Cool weather comes around a bit later out here than in some of the other states I’ve previously lived, and for many of you who live in climates that require warm, snuggly sweaters, gloves and hats, and foods that feed the soul during the long winter months. But, finally, I’m donning long pants, tops that hide my tanned shoulders, and fuzzy socks instead of running around with painted toe nails in sandals. And I love it! Hungering and hankering for foods that fill our bellies with warmth, release our “ahhh”, and leave us with an inner peace seems nature’s way of preparing us for fending off the harsher months ahead (or at least for the days filled with more darkness than sunlight). Personally, trudging into the season where, to be completely honest, I yearn for sitting for hours on end in a cozy chair nestled under a throw, sipping something – anything – hot, I like to know that since I can’t realistically do this, my short moments will “fill my cup”, if you will. So when I sit down, I want to know that the satiety after finishing a delicious meal, in this case a bowl of steaming hot soup, I’m going to not only have satisfied my taste buds, but I’ve additionally nourished my body – especially when the winter months can also bring with them lots of runny noses, coughs, and fevers that are synonymous with the cold and flu season. This time of year just loves to wreak havoc on us if our bodies are not nourished and strong. 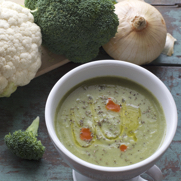 With ingredients that combine to make this soup a complete meal, not a starter, you’ll be receiving the benefits of ample protein, healthy carbs, and iron-rich vegetables. Protein helps support our metabolism, balance our blood sugar, and enable muscle and bone development. Every cell of our body requires protein. Healthy carbohydrates provide glucose necessary for energy, and nature’s carbs in the form of fruits and veggies contain fiber, which helps regulate the digestive system. Iron, an essential mineral key to making healthy red blood cells, is abundant in both heme and non-heme forms contributed by the bison, beans, kale and cabbage. 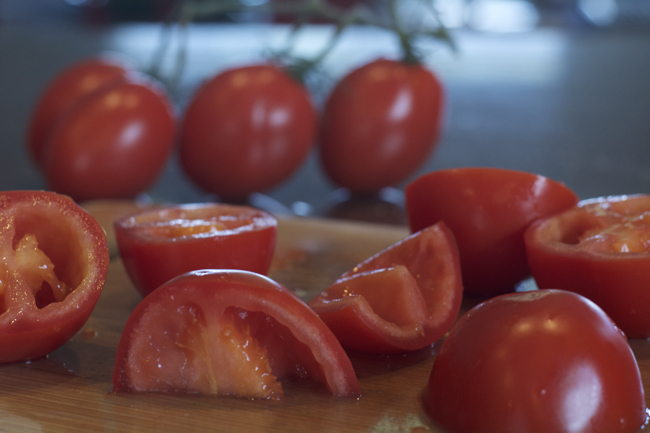 Vitamin C present in the tomatoes makes the iron more easily absorbed and usable. We can begin to feel a whole host of “ugh” if our bodies become iron deficient. Enjoying meals packed with all these nutritious ingredients though, you might just become Popeye! Rest assured though, there is no glutamate included in the ingredients list. The umami is just a wonderful result of the food combinations. Very satisfying, very nutritious, and quite possibly will make you want to curl up under that throw immediately after dinner – merely due to being in the “comfort zone”, not due to lack of energy. Now, let’s be clear. I’m not suggesting Bison, Bean, Lentil, and Tomato Soup is the silver bullet to all that ails you during the winter season. I’m simply putting it out there that this soup recipe offers many nutritional benefits while being delicious. Oh, and it’s easy to prepare. And easy recipes are important because I know you want time to be sitting in that cozy chair I talked about earlier too, right? This recipe only requires cooking the meat. You can follow the recipe as directed to achieve a completed dish at mealtime in about 30 minutes, or you can start this recipe on the stove by cooking the ground bison (or ground beef) (with the onion and garlic if you wish) as directed, then transfer to a slow cooker with the remaining ingredients so it can cook during the day. 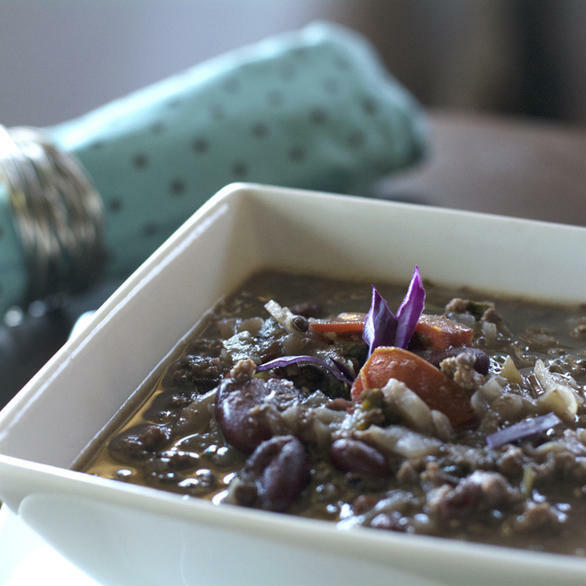 With the slow cooker or Crock Pot setting on low, it shouldn’t overcook nor cause the beans and lentils to go mushy. I like to barely simmer my soup for a couple of hours on the stove before serving, giving the ingredients a chance to flavor meld and gain depth. Umami! Without breaking a sweat. A great embellishment to this dish is to serve the soup with seasoned croutons scattered over the top, or with a side of cornbread. 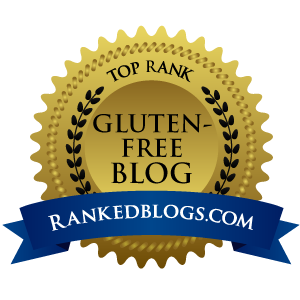 To make sure we touch on the allergen concerns, the recipe is free of gluten, dairy, eggs, peanuts, shellfish, soy, and corn. It can be free of fish by omitting the Worcestershire sauce, which surprisingly contains fish sauce. For some additional flavor wham and crunch, when ladling the soup into bowls, go for a bit of textural intrigue by garnishing each serving with a few slices of fresh radish, a bit of shredded, raw cabbage, and a few fresh cilantro leaves. 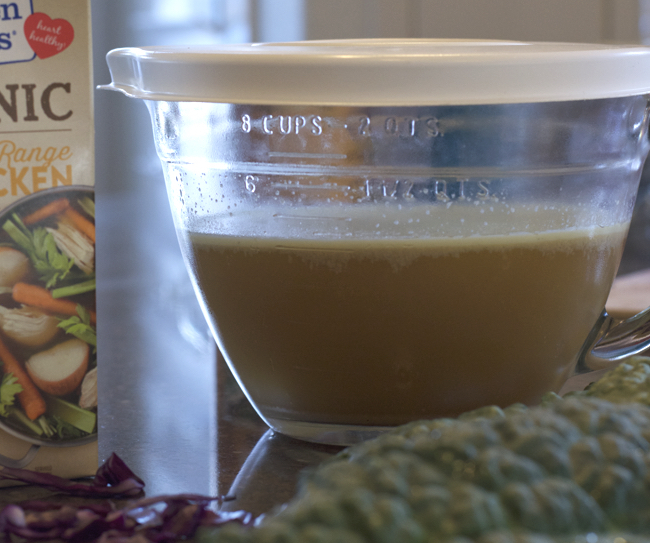 In a large stock pot, warm one Tablespoon of oil over low heat, then add onion and garlic. Increase heat to medium and sauté until onion is lightly golden and becoming translucent. Add one can of kidney beans to the post. Smash about half of them (I use a potato masher). These will create a bit of thickness and give body to the broth. 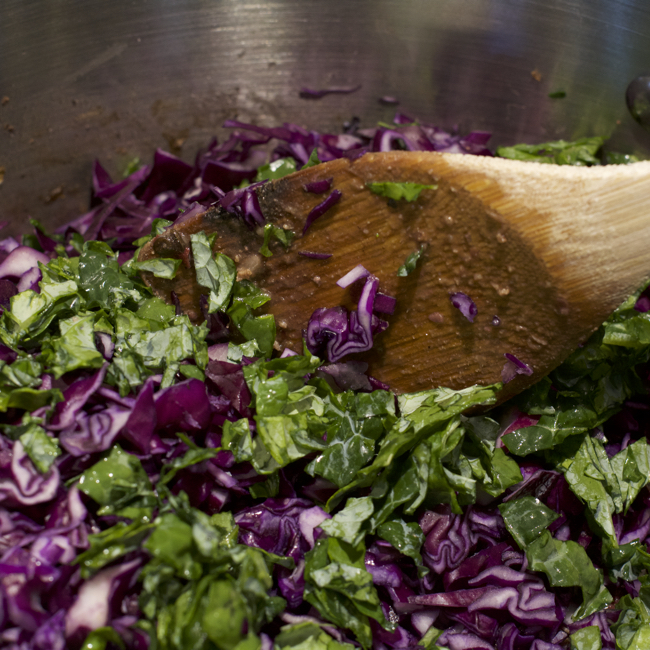 Add the remaining beans and lentils, cabbage, kale, and tomatoes to the pot. Pour chicken broth and water into the pot. Stir to combine all ingredients and increase burner temperature to high to bring soup just to a boil. Reduce heat to simmer. Add Worcestershire sauce, onion powder, garlic powder, balsamic vinegar, and olive oil to the soup. Stir well. Taste. Add salt and pepper as needed. 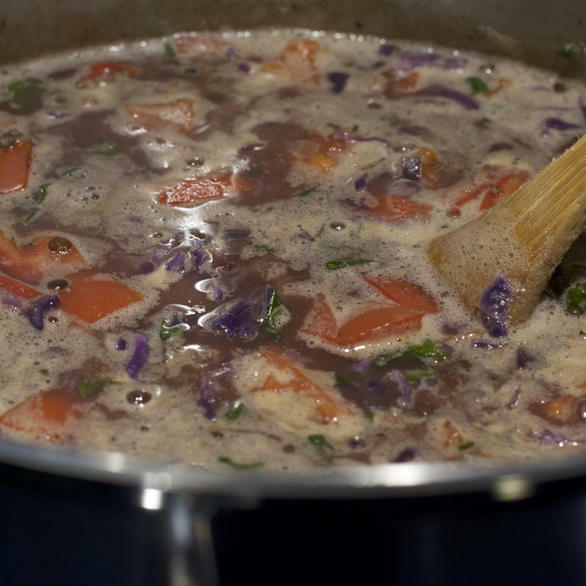 Simmer soup over low heat for 30 minutes or more before serving. I like to barely simmer my soup for a couple of hours before serving, giving the ingredients a chance to flavor meld and gain depth. This can easily be started on the stove to cook the onion, garlic, and meat, as directed above, then transferred to a slow cooker with the remaining ingredients so it can cook during the day. On low, it shouldn’t overcook the beans and lentils. Serve with seasoned croutons (LINK to my croutons) scattered over soup or with a side of cornbread. For additional flavor wham and crunch, when ladling soup into bowls, garnish each serving with a few slices of fresh radish, a bit of shredded, raw cabbage, and a few fresh cilantro leaves.